Born to a music loving family, Dr. Shruti Jauhari was introduced to music with lessons from Pt. G R Kulkarni at the age of nine, simultaneously being guided by her father Dr. R M Verma, her first Guru from early childhood. Ever since, she constantly pursued her music education & academics; acquired a post-graduate degree, both in Music as well as in Zoology, as an outstanding student; followed by Ph. D. in Music. She gave up opportunities to work in prestigious organizations such as the National Environmental Engineering Research Institute (NEERI) only to pursue Music and carried on with her advanced training under the guidance of Pt. Sharada Prasad Bhatt of Beora estate, with special emphasis on Thumri. After relocating to Chennai in 1994, she further took detailed Voice Culture lessons from the Legendary singer Dr. K. J Yesudas, for about five years. She was also under the guidance of Pt. Ajoy Chakraborty Ji. She was teaching Music as a visiting Faculty at Madras University, and continued to perform all over the country and abroad. She was also Faculty Head of Hindustani Classical Music at K M Music Conservatory Chennai, an institute promoted by Dr. A R Rahman, in affiliation with Middlesex University, London, UK. As a student, she secured Gold Medal, both at Graduate and Post Graduate levels. Won State Award for the Best Performance in Youth Festival, from the Government of Madhya Pradesh. Graded Artist at All India Radio for the last twenty five years. Cathedral Excellence Award 2012 by LIONS Club of Madras Cathedral. Vocational Excellence Award for exceptional work in the field of Music Education by ROTARY Club of Madras, Vadapalani. Read papers at International Conferences within India and abroad such as Asian Cultural Museum Singapore and performed at prestigious platforms such as Epicenter Delhi, Bharat Bhavan Bhopal and at Rajbhavan Chennai. 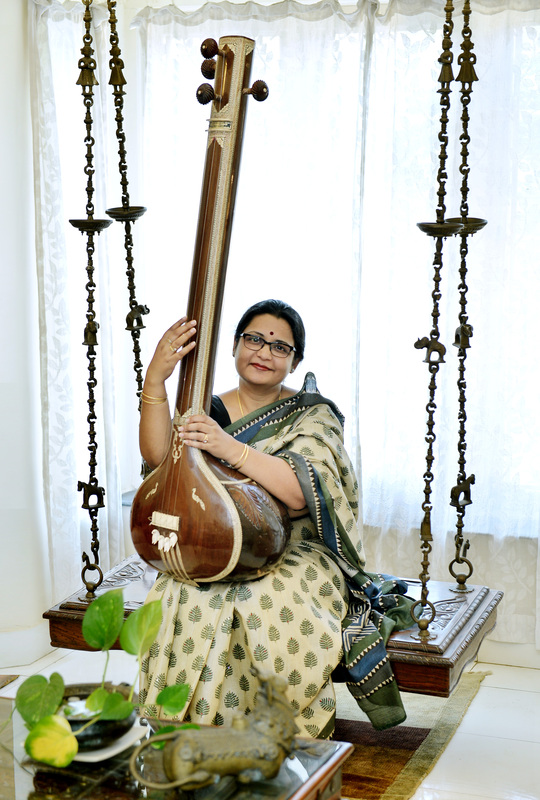 She is widely known for Workshops and ‘Lecture-Demonstrations’ titled: ‘Shruti Samvaad‘ ~ A Conversation with Music. 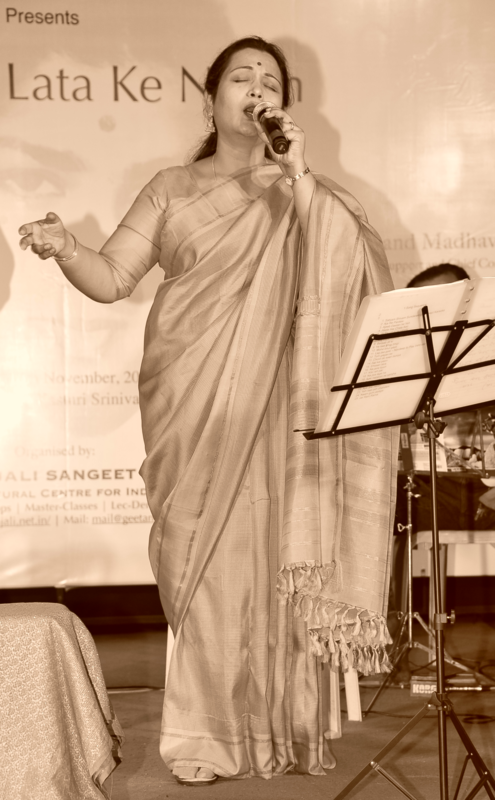 Occasionally she writes on the subject of Hindustani Classical Music for Times of India, Indian Express and The Hindu.